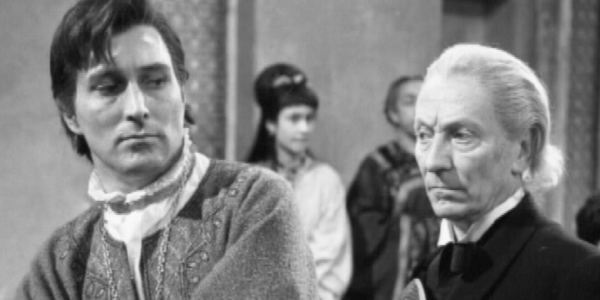 Doctor Who: Revisiting MARCO POLO | Warped Factor - Words in the Key of Geek. 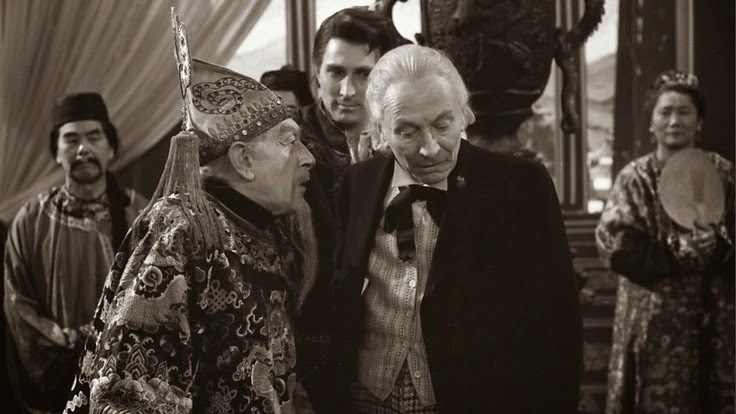 But with part of the remit originally assigned to Doctor Who, to broadcast 'pure historical' stories alongside the science fiction tales, the Doctor might not have intervened but he'd be there at the sidelines to watch events unfold. 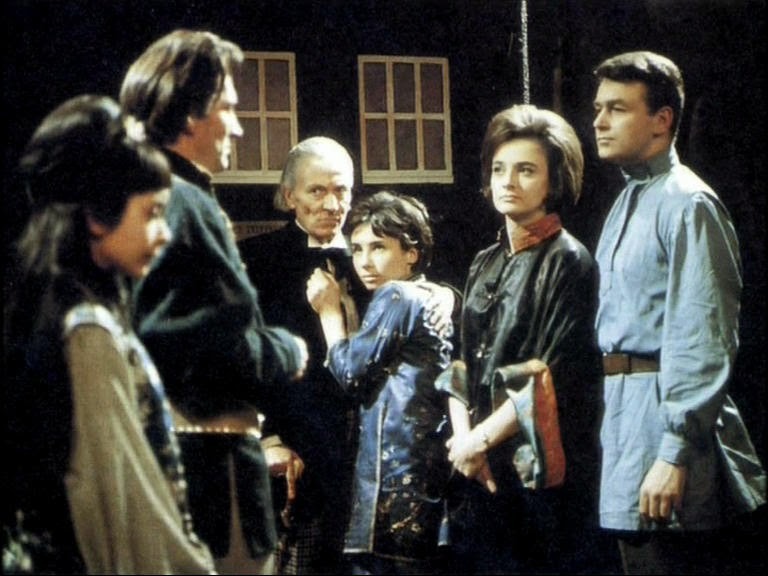 The first such episode to feature this format was Marco Polo, the fourth story of the début series, with the Doctor, Susan, Ian & Barbara meeting the titular explorer (and possible inventor of the mint with the hole) on his travels in Asia. Lesson two in our 'why you shouldn't trust a Mongol' course follows. The clods think the Doctor is some kind of evil sorcerer! Last time we checked, looking & acting like a disgruntled elderly history teacher wasn't that much of an offence. Polo isn't much better, either. 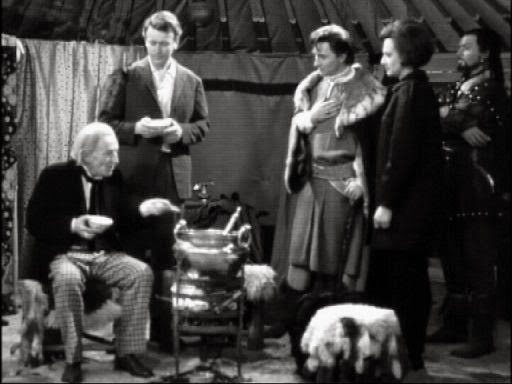 Having seemed like a trustworthy type he quickly tells the lapel-thumbing one that he's taking the TARDIS (or 'flying caravan' as he calls it, not knowing that you'll never find such a thing in the Haven holiday parks for such purposes in the future) as a nice present for the Khan to try & worm his way out of servitude. No wonder the Doctor's grumpy if this is how people are going to treat him. 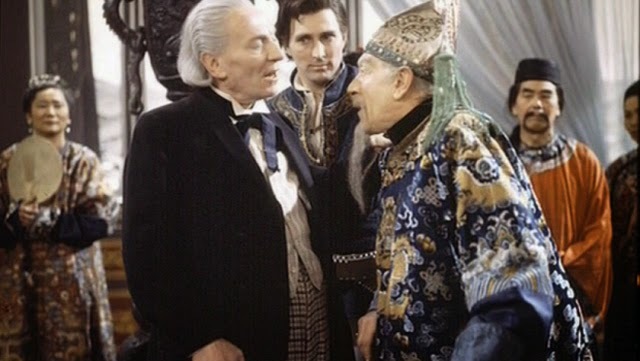 He'll be fuming once he learns what Tegana's actually planning, as Susan & Ping-Cho do after getting bored watching Ian play Polo at chess - the Doctor not taking part presumably having had a horrific vision of being attired in a massive coat, overly long scarf & rather distinctive teeth & curls & losing just such a contest to a metal dog. Oh, the indignity! More pressingly for now though, they're running a tad low on water. Polo makes the worst possible choice of errand boy (Tegana) and Ping-Cho keeps spirits up with a rousing telling of the Aladdin story. DVDs, though, haven't been invented yet- allowing the naughty emissary to slip off and plot with some similarly rabble-rousing friends. Luckily Barbara's followed him and is able to at least partially able to hear the plan before rather less wonderfully managed to get herself captured. Nearly everybody's dead by the time they get to Kublai, making for quite a body count. Handily for his grandson, Genghis, though, gramps survives. 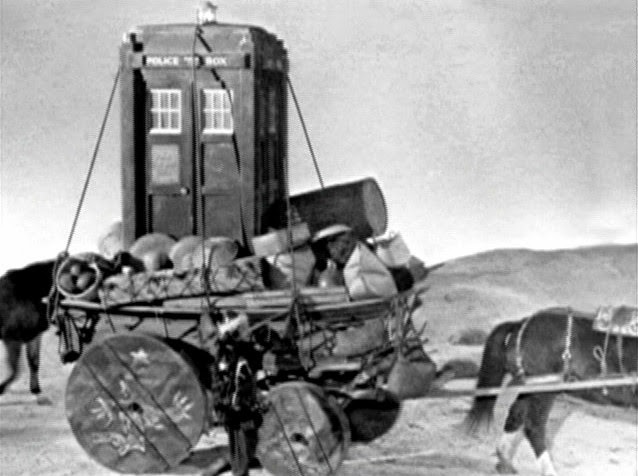 Legging it back to the now-reclaimed TARDIS with Polo's blessing and more than likely a few packets of mints, the happily now more together as friends team of the Doctor, Susan, Ian & Barbara dematerialise before everyone else's eyes.